Tim Pagliara, chairman and CEO of independent registered investment advisory firm CapWealth, has been named a 2016 “Power Leader in Finance” by the Nashville Business Journal, and his firm has been named a 2016 “Best in Business” Awards Finalist by the publication. Nominations for the Best in Business Awards were taken from the public, and then a panel of judges comprised of past winners weighed a variety of criteria—including profitability, community involvement and other metrics—to determine the finalists. Winners in each company-size category will be announced on March 10 and all companies will be featured in a special publication on March 11. Similarly, the Nashville Business Journal collected nominations from the public to honor accountants, bankers and financial advisors — “the go-to experts and leaders” stated the journal — who help companies and businesses across Middle Tennessee keep their finances in order. After two weeks of closed voting amongst the nominees, a group of 70 winners resulted. Each winner will be featured in a special February 26 edition of the journal. 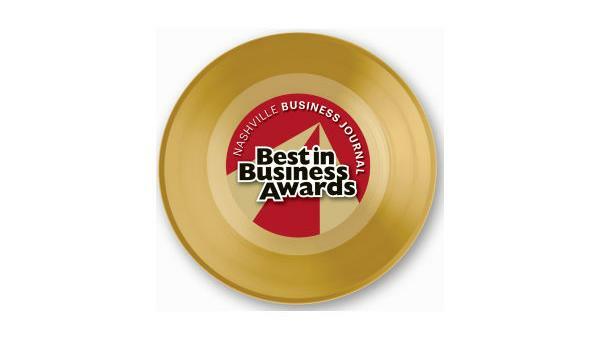 The Nashville Business Journal honors are the latest in a series of distinctions for the CapWealth firm. Last year Pagliara was named the top financial advisor in the state of Tennessee by Barron’s magazine. That announcement marked the fourth consecutive year that Pagliara had earned the number-one spot in the state (2012, 2013, 2014, 2015) and the sixth year in seven (2009, 2010, 2012, 2013, 2014, 2015) that he made the national “Top 1,200 Advisors” list published annually by the financial industry magazine. He is under consideration for both designations again this year, with the announcement set to come soon. The Barron’s rankings are based on assets under management, revenue generated by the firm’s advisors and quality of practice, including regulatory history. In the past two years, CapWealth’s President and COO Phoebe Venable was named one of the top 100 women financial advisors in the United States by The Financial Times newspaper while the firm was named by The Financial Times as one of the top 300 registered investment advisories in the United States.